Sony, Nikon, Minolta, Olympus, Pentax, Canon, Kodak, Casio, Panasonic, Hitachi, JVC, Fuji. When you can�t move closer to the action, bring the action closer to you. 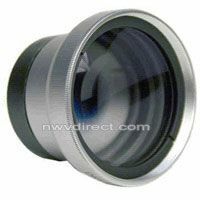 The conversion lenses are an essential part of any photographer's apparatus, be it the beginner or the avid photographer.